It’s expected that 50% of the UK workforce will work remotely by 2020, with almost 1.5 million employees currently ditching the office for their dining table. New research reveals that London has the highest number of remote employees, with 408,000 people using the home as their main office, and 250,000 people working from home every day of the week. From the position of your chair to the music you listen to, there are several factors that affect how productively you work from home. With this in mind, our experts reveal how to create the perfect setting. Feng Shui is the art of placement, teaching us how to position objects in the space around us to balance energy and create harmony. It has had a huge impact on the aesthetics of interior design and plays a huge role when creating a productive workspace. To follow the art of Feng Shui, you should separate your working and living space to encourage a good ‘work and home life’ balance. Feng Shui expert, Priya Sher, shares how to position your furniture to create the most productive workspace. She said: “Avoid the sofa, as this provides a space that can energetically separate your living and working life. Position your desk so that the back of your chair has the support of a solid wall. Color Psychologist, Angela Wright, states there are four primary psychological colors: red, blue, yellow and green. 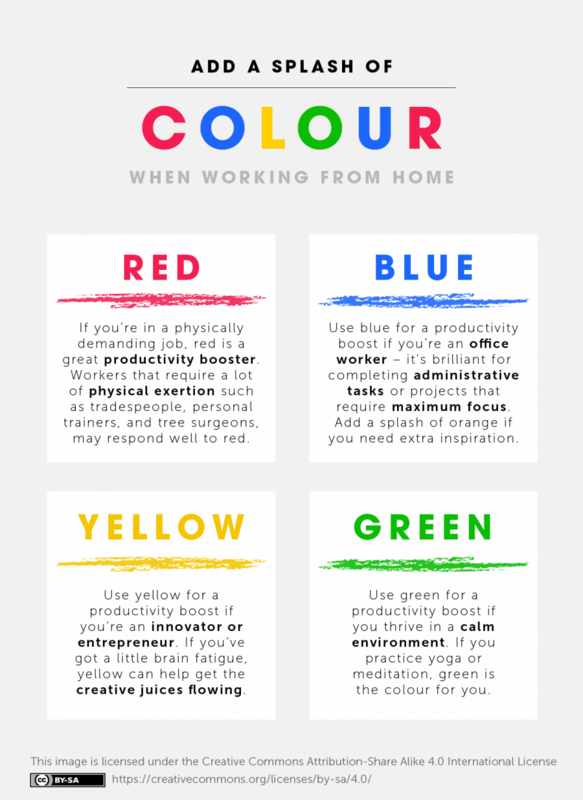 Whether you work indoors or outside, surrounding yourself with certain colors can help boost productivity. Like listening to music whilst working? Turns out it could be making you more productive. The connection between listening to music you like at work and an improved mood is strong, says Teresa Lesiuk, Associate Professor of Music Education at the University of Miami. 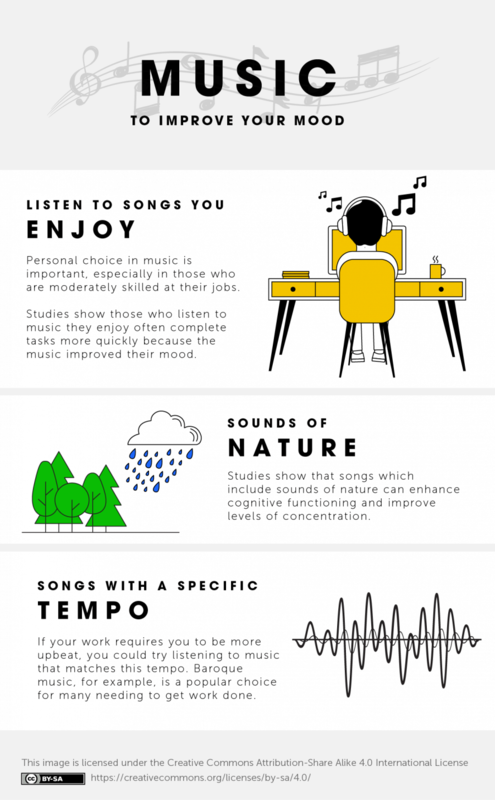 Her research shows that listening to that music often produces “mild, positive moods” and being in that frame of mind can be helpful when attempting to get work done. It turns out its not just classical music that stimulates productivity – however, we’d avoid anything too heavy. Teresa Lesiuk states that personal choice is important, especially in those who are moderately skilled in their jobs. Those who listen to music they enjoy often complete tasks more quickly because the music improved their mood. Songs which include sounds of nature can enhance cognitive functioning and improve levels of concentration. If your work requires you to be more upbeat, you could try listening to music that matches this tempo. Baroque is a good choice if you have a lot of work to get done. If you’ve ever worked in an office, you’ll know how difficult it is to get the temperature right and keep everybody happy. Working from home means this is one less thing to worry about – as you are in full control of the thermostat. 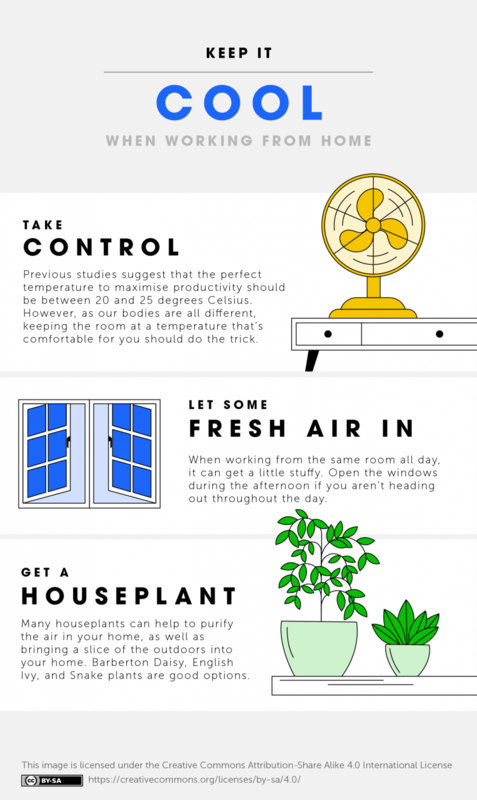 Previous studies suggest that the perfect temperature to maximize productivity should be between 20 and 25 degrees Celsius. However, as our bodies are all different, keeping the room at a temperature that’s comfortable for you should do the trick.